Ballad CFO Lynn Krutak said the health system faces significant financial challenges but has the discipline and leadership to navigate obstacles ahead. CFO Lynn Krutak said the system’s most significant challenge is its payer mix. Luckily, she says, Virginia’s decision to expand Medicaid will help somewhat in terms of recouping from years of cuts. Ballad Health also has a $308 million, 10-year spending plan in the works. Last year, Mountain States Health Alliance (MSHA) and Wellmont Health System, merged to form Ballad Health. The fact that the two rural systems merged was not typical because it formed under a certificate of public advantage (COPA). This legal agreement governs the merger through joint oversight from both the state of Tennessee and Virginia and also includes “enforceable commitments” to invest in population health, expand patient access, and boost research and education opportunities. Lynn Krutak, who served as CFO for both MSHA and its corporate parent Blue Ridge Medical Management, was elevated as CFO at Ballad Health. In an interview with HealthLeaders, Krutak emphasized how she implemented effective cost-cutting strategies within a challenging payer mix and low-wage index area. This transcript has been lightly edited for brevity and clarity. HealthLeaders: Can you describe the challenges and opportunities for Ballad Health in its provider market? Krutak: The majority of our hospitals are either in southwest Virginia or northeast Tennessee, so we have high-use rates. From the payer standpoint, as more people move into managed Medicare and managed Medicaid, we know those use rates are going to fall. Our population growth is flat to even declining; a lot of our counties in southwest Virginia are coal counties that have been hit hard by the [employment] reductions. So, with the use-rates decline, population decline, and the reimbursement decline that we’re all faced with, we know that there are going to be issues going forward. As far as our payer mix, we’re heavily governmental. Over 70% of our payer mix is Medicare, Medicaid, or self-pay. We can continue to see the payer mix decline as well. We are also faced with high-deductible health plans out there now, with the patient portion of those deductibles being so high our bad debt has increased over 30%. Fortunately, Virginia has implemented a Medicaid expansion program, so we will get some relief. However, we’ve had years of ACA cuts and this is a small portion. With the cuts that we’ve had versus what we’re going to gain back from Medicaid expansion, we’ll still be in the red. Our wage index with Medicare is another hurdle we have. We are in the fourth-lowest wage index area in the country; we’re getting about half of what other [systems] are getting. We’ve done a good job of controlling our costs because we have to. We’re excited about the potential with some of the things that we’re going to be able to do as a merged organization. We have $308 million in spending commitments over the next 10 years, but we have about twice as much in estimated savings. We’ve been able to achieve a lot of that already and we’re working hard on our continued integration. This merger’s unique and what we’re going to be able to do is take costs out of the system, as far as redundant and duplicative costs go, and then reinvest them back. HL: Can you describe some initiatives Ballad is looking to pursue in the next few years? Krutak: As far as the labor costs, we’ve done a great job controlling our labor by not using contract labor for nursing. During the nursing shortage, other systems were using contract labor, it was something that MSHA did not have to do. We have East Tennessee State University right in our backyard in Johnson City, where we work with them to develop nursing programs and offer scholarships to students in return for a work commitment. Of the investments through COPA, where we have committed $308 million over a 10-year period, [is] $75 million is going to common health issues facing children. We’ve made a commitment to bring on specialists—specifically pediatrics—and be able to keep these patients and their families in the region and not have to send them elsewhere. We’ve also committed $140 million to mental health, addiction, or rural health [initiatives] with $85 million going to behavioral health. That’s an issue for our service area in northeast Tennessee and southwest Virginia. Finally, we have $8 million set for clinical effectiveness and patient engagement mainly related to health information exchange. Wellmont was on Epic, MSHA was on Cerner, so we agreed to convert the whole system to Epic, which will happen in April 2020. HL: How is Ballad best positioned to navigate the direction healthcare is going while still providing the best quality service to its patients? Krutak: We’ve been working with our state representatives to craft a fair wage index bill, where Ballad would get some relief and revamp how those calculations are done. In other words, you would not be penalized if you do a good job controlling your costs. Our CEO, Alan Levine was secretary of health in Florida and secretary of health in Louisiana. We have Tony Keck, who is the executive vice president of our development, innovation, and population health improvement, who was secretary of health in South Carolina. We have a lot of insight on the [governmental] side of things from them. We’re positioning ourselves to take costs out of the system but also to switch over from fee-for-service plans to looking at risk-based contracts. How do we get paid more for showing better patient outcomes? We’re looking over the next five years to transition into more of that than your traditional payments. HL: What advice would you give to CFOs from rural systems to make the most of what are sometimes challenging financial situations? Krutak: As a result of the merger, I’m relieved that we’re going to be able to have these savings to reinvest in rural areas. The largest issue we face with the payer mix shift is that it’s hard to get physicians in rural areas. My advice to them is just make sure that you are controlling your costs as much as you possibly can and look to partner with other systems that may be near you that could provide physician-sharing arrangements. On the cost side, make sure that that you’ve situated yourself appropriately and then as things transition to outpatient, be sure the investments that you’re making are being made in the right places. Four hospitals in Oklahoma and Kansas, all owned by affiliates of EmpowerHMS, filed for Chapter 11 bankruptcy on March 17. Three of the four hospitals that filed for bankruptcy are in Oklahoma. According to the bankruptcy petitions for Fairfax (Okla.) Community Hospital, Drumright (Okla.) Regional Hospital and Haskell County Community Hospital in Stigler, each hospital entered bankruptcy with less than $50,000 in assets and at least $1 million in liabilities. Drumright Regional has upward of $10 million in estimated liabilities. Oswego (Kan.) Community Hospital, which abruptly closed Feb. 14, also entered bankruptcy on March 17. It is the third hospital in Kansas owned by Kansas City, Mo.-based EmpowerHMS that has filed for bankruptcy in recent weeks. Hillsboro (Kan.) Community Hospital and Horton (Kan.) Community Hospital entered Chapter 11 bankruptcy earlier this month. Two other hospitals owned by EmpowerHMS — Lauderdale Community Hospital in Ripley, Tenn., and Washington County Hospital in Plymouth, N.C. — have entered bankruptcy since late February. Rural hospitals in the United States are having an increasingly hard time staying in business. Which is not great for the health of people who live in areas that no longer have a hospital. The 2018 midterm elections will decide the fate of numerous healthcare-related ballot measures as well as which leaders will shape health policy in the coming years. Issues to watch: Medicaid expansion in 4 states, a healthcare bond initiative in California, and the debate over preexisting condition protections. Candidates to watch: Wisconsin Gov. Scott Walker, former Gov. Phil Bredesen, former HHS Secretary Donna Shalala, and others. Healthcare has been an overarching issue for voters in the 2018 midterm election cycle, with many focusing on the future of the Affordable Care Act when it comes to national health policy but also taking stock of state and local ballot initiatives as well. Several traditionally Republican states will decide whether to expand Medicaid under the ACA; staffing requirements for nurses are a hot-button topic in Massachusetts; and a major children’s hospital bond is on the table in California. Beyond the issues are the candidates, including many Republican leaders on Capitol Hill in tight races to defend their seats after voting to repeal and replace the ACA. At the state level, Republican governors and their attorneys general are having their healthcare records put to the test as Democrats make protecting preexisting conditions and rejecting Medicaid work requirements key parts of the campaign. Here are the key issues and candidates healthcare leaders will be watching as results begin rolling in Tuesday evening, with voters determining the direction of healthcare policymaking for years to come. One year after voters approved Medicaid expansion in Maine, the first state to do so through a ballot initiative, four other states have the opportunity to join the Pine Tree State. Montana: The push to extend Medicaid expansion in Montana before the legislative sunset at the end of the year is tied to another issue: a tobacco tax hike. The ballot measure, already the most expensive in Montana’s history, would levy an additional $2-per-pack tax on cigarettes to fund the Medicaid expansion which covers 100,000 persons. Nebraska: Initiative 427 in traditionally conservative Nebraska, could extend Medicaid coverage to another 90,000 people. The legislation has been oft-discussed around the Cornhusker State, earning the endorsement of the Omaha World-Herald editorial board. Idaho: Medicaid expansion has been one of the most talked about political items in Idaho throughout 2018. Nearly 62,000 Idahoans would be added to the program by Medicaid expansion, some rural hospitals have heralded the move as a financial lifeline, and outgoing Gov. Bruce Otter, a Republican, blessed the proposal last week. Utah: Similar to Montana’s proposal, Utah’s opportunity to expand Medicaid in 2018 would be funded by a 0.15% increase to the state’s sales tax, excluding groceries. The measure could add about 150,000 people to Medicaid if approved by voters, who back the measure by nearly 60%, according to a recent Salt Lake Tribune/Hinckley Institute poll. In addition to the four states considering whether to expand Medicaid, there are four others considering ballot initiatives that could significantly affect the business of healthcare. Massachusetts mulls nurse staffing ratios. Question 1 would implement nurse-to-patient staffing ratios in hospitals and other healthcare settings, as Jennifer Thew, RN, wrote for HealthLeaders. The initiative has backing from the Massachusetts Nurses Association. Nurses have been divided, however, on the question, and public polling prior to Election Day suggested a majority of voters would reject the measure, which hospital executives have actively opposed. The hospital industry reportedly had help from a major Democratic consulting firm. California could float bonds for children’s hospitals. Proposition 4 would authorize $1.5 billion in bonds to fund capital improvement projects at California’s 13 children’s hospitals, as Ana B. Ibarra reported for Kaiser Health News. With interest, the measure would cost taxpayers $80 million per year for 35 years, a total of $2.9 billion, according to the state’s Legislative Analyst’s Office. Nevada nixing sales tax for medical equipment? Question 4 would amend the Nevada Constitution to require the state legislature to exempt certain durable medical goods, including oxygen delivery equipment and prescription mobility-enhancing equipment, from sales tax. The proposal, which passed a first time in 2016, would become law if it passes again. Bennett Medical Services President Doug Bennett has been a key proponent of the measure, arguing that it would bring Nevada in line with other states, but opponents contend the measure is vaguely worded, as the Reno Gazette Journal reported. Oklahoma weighs Walmart-backed optometry pitch. Question 793 would add a section to the Oklahoma Constitution giving optometrists and opticians the right to practice in retail mercantile establishments. Walmart gave nearly $1 million in the third quarter alone to back a committee pushing for the measure. Those opposing the measure consist primarily of individual optometrists, as NewsOK.com reported. It’s been more than two months since Republican attorneys general for 20 states asked a federal judge to impose a preliminary injunction blocking further enforcement of the Affordable Care Act, including its coverage protections for people with preexisting conditions. Some see the judge as likely to rule in favor of these plaintiffs, though an appeal of that decision is certain. Amid the waiting game for the judge’s ruling, healthcare policymaking—especially as it pertains to preexisting conditions—rose to the top of voter consciousness in the midterms. That explains why some plaintiffs in the ACA challenge have claimed to support preexisting condition protections, despite pushing to overturn them. Texas: Attorney General Ken Paxton, a Republican representing the lead plaintiff in the lawsuit, is facing a challenge from Justin Nelson, a Democrat, and the race seemed to be competitive, as The Texas Tribune reported. Gov. Greg Abbott was expected to win against Democratic challenger Lupe Valdez. Florida: Attorney General Pam Bondi, a Republican, is term-limited, so she’s not running for reelection. Ashley Moody, a Republican, and Sean Shaw, a Democrat, are facing off for Bondi’s position. Moody expressed support for Florida’s participation in the ACA challenge, while Shaw said he would pull the state out, calling the case a “partisan stunt,” as the Tampa Bay Times reported. Bondi has campaigned, meanwhile, for Republican gubernatorial candidate Ron DeSantis, who’s facing off with Democrat Andrew Gillum. Gillum said he would back a state law to protect people with preexisting conditions, while DeSantis said he would step in if federal action removed the ACA’s preexisting condition protections, as the Miami Herald reported. Gillum and DeSantis are vying to succeed term-limited Gov. Rick Scott, a Republican who’s running for U.S. Senate. Wisconson: Attorney General Brad Schimel, a Republican, is facing a challenge from Josh Kaul, a Democrat who has slammed Schimel’s participation in the ACA challenge, as The Capital Times reported. Gov. Scott Walker, a Republican, said he supports preexisting condition protections, despite authorizing his state’s participation in the lawsuit. Democratic challenger Tony Evers accused Walker of “talking out of both sides of his mouth,” as the Milwaukee Journal Sentinel reported. New Hampshire: After receiving approval for New Hampshire’s Medicaid work requirements, Republican Gov. Chris Sununu said the government is committed to helping Granite Staters enter the workforce, adding that it is critical to the “economy as a whole.” Despite spearheading a controversial topic in a politically centrist state, Sununu has not trailed against his Democratic opponent Molly Kelly in any poll throughout the midterm elections. Arkansas: Similarly, Arkansas Gov. Asa Hutchinson, is running in a race where he has held a sizable lead over his Democratic challenger Jared Henderson. Since enacting the work requirements over the summer, the state has conducted two waves where it dropped more than 8,000 enrollees. Wisconsin: The most vulnerable Republican governor of a state with approved Medicaid work requirements is Wisconsin Gov. Scott Walker, who has been neck and neck with Democratic nominee Tony Evers. While the Badger state only received approval for its Medicaid work requirements last week, healthcare has been a central issue of the campaign as Walker, a longtime opponent of the ACA, works to address premium costs in the state and defend his record on preexisting conditions. Indiana and Kentucky: Indiana Gov. Eric Holcomb and Kentucky Gov. Matt Bevin are not on the ballot this year. When HealthLeaders issued its first list in April of the healthcare leaders running for public office during the primaries, there were more than 60 candidates with relevant healthcare backgrounds out on the campaign trail. Now, for the general election, that list has nearly been halved, with 35 candidates still remaining. This collection of healthcare leaders includes registered nurses, former insurance company executives, physicians, and former government health policy leaders. U.S. Senate: Running for the Senate are Florida Gov. Rick Scott, former Tennessee Gov. Phil Bredesen, former Celgene CEO Bob Hugin, and State Sen. Leah Vukmir. U.S. House: Among those aiming to join the House are Lauren Underwood, RN, former HHS Secretary Donna Shalala, and Dr. Kim Schrier. Hospitals are often thought of as the hubs of our health care system. 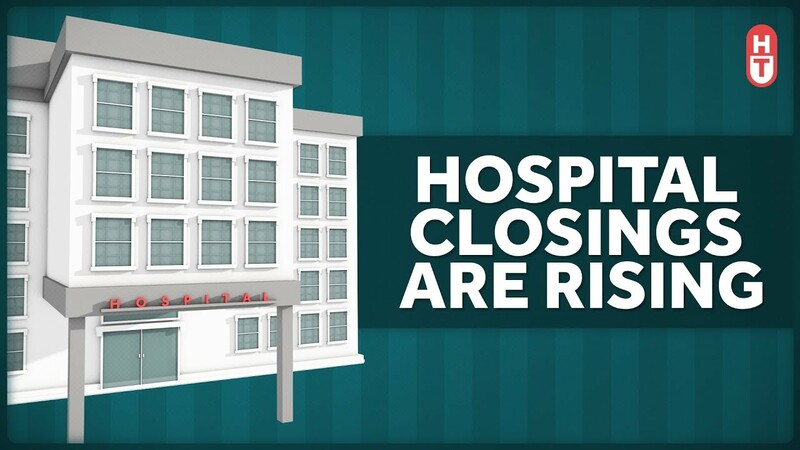 But hospital closings are rising, particularly in some communities. Hospitals across the U.S. are being battered by financial headwinds, and rural hospitals are vulnerable because they don’t have capital or diversified services to fall back on when the going gets rough. Between 2013 and 2017, 64 rural hospitals closed due to financial distress and changing healthcare dynamics, more than twice the number in the previous five years, a new Government Accountability Office analysis shows. Rural hospital closures disproportionately occurred in the South, among for-profit hospitals and among organizations with a Medicare-dependent hospital payment designation. One potential lifeline was Medicaid expansion. According to GAO, just 17% of rural hospital closures occurred in states that had expanded Medicaid as of April 2018. Declining inpatient admissions and reimbursement cuts have taken a toll on rural hospitals. Since 2010, 86 rural hospitals have closed, and 44% of those remaining are operating at a loss — up from 40% in 2017. CMS Administrator Seema Verma released a rural health strategy in May aimed at improving access and quality of care in rural communities. Among its objectives are expanding telemedicine, empowering patients in rural areas to take responsibility for their health and leveraging partnerships to advance rural health goals. The agency also expanded its Rural Community Hospital Demonstration from 17 to 30 hospitals. The program reimburses hospitals for the actual cost of inpatient services rather than standard Medicare rate, which could be as little as 80% of actual cost. Such initiatives can be helpful, but if a hospital can’t make ends meet on its Medicare and Medicaid businesses and has only a modicum of privately insured patients, “that’s just not a balance that works financially,” Diane Calmus, government affairs and policy manager at the National Rural Health Association, told Healthcare Dive recently. In all, 49 rural hospitals closed in the South, or 77% of rural hospital closures from 2013 through 2017, according to GAO. Texas had the most closures with 14, followed by Tennessee with eight and Georgia and Mississippi, each with five. By contrast, there were eight rural hospital closures in the Midwest and four each in the West and Northeast. GAO also looked at closures by Medicare rural hospital payment designation. Critical access hospitals made up 36% of rural hospital closures, 30% were hospitals receiving Medicare standard inpatient payment, 25% had Medicare-dependent hospital designation and 9% were sole community hospitals. To aid rural hospitals and ensure access for patients, NRHA has urged CMS to adopt a common sense approach to the “exclusive use” standard and lobbied lawmakers to pass legislation eliminating the 96-hour condition of payment requirement, two policies that are particularly hard on rural providers. Another bill, the Save Rural Hospitals Act, would reverse reimbursement cuts to rural hospitals, provide other regulatory relief and establish the community outpatient hospital, a new provider type offering 24/7 emergency services plus outpatient and primary care.